The story of the region, told by an intrepid journalist Many dire predictions followed the collapse of the Soviet Union, but nowhere have they materialized as dramatically as in the Caucasus: insurrection, civil wars, ethnic conflicts, economic disintegration, and up to two million refugees. Moreover, in the 1990s Russia twice went to war in the Caucasus, and suffered a humiliating defeat at the hands of a nation so tiny that it could fit into a single district of Moscow. What is it about the Caucasus that makes the region so restless, so unpredictable, so imbued with heroism but also with fanaticism and pain? 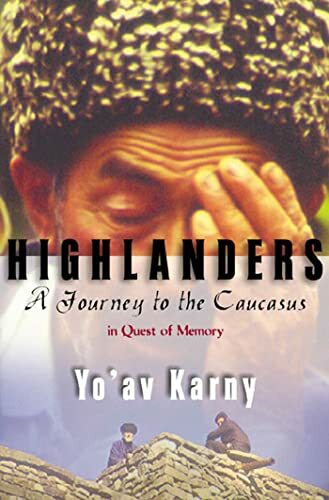 In Highlanders, Yo'av Karny offers a better understanding of a region described as a "museum of civilizations," where breathtaking landscapes join with an astounding human diversity. 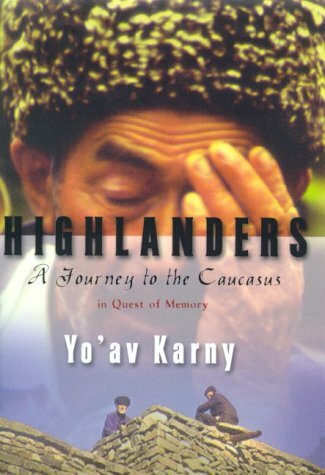 Karny has spent many months among members of some of the smallest ethnic groups on earth, all of them living in the grim shadow of an unhappy empire. But his book is a journey not only to a geographic region but also to darker sides of the human soul, where courage vies with senseless vindictiveness; where honor and duty require people to share the present with long-dead ancestors, some real, some imaginary; and where an ancient way of life is drawing to an end under the combined weight of modernity and intolerance.